We're pleased to stock the well-designed, quality resilient seat gate valves and dry barrel fire hydrants made by American AVK. We also stock yard hydrants and we can supply any sampling station or flushing hydrant from Kupferle Foundry. 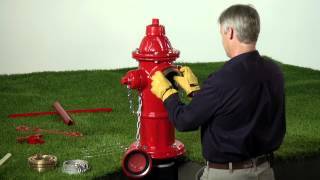 Come to us for hydrant flags, not-in-service bags, hydrant and hose adapters, hydrant anti-freeze, or repair kits for any hydrant. Series 2780 Nostalgic fire hydrants offer the most innovative features available in a ductile iron dry barrel fire hydrant. All AVK Series 2780 hydrants are assembled with a cold rolled stainless steel upper stem eliminating the need for a bronze stem ferrule. Lower barrel stem is available in stainless steel. 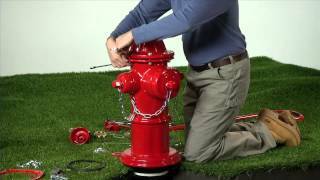 The fully encapsulated one-piece hydrant main valve is exclusive to AVK hydrants. Kupferle Foundry has been making hydrant products for 150 years. We’re pleased to offer their varied line of yard hydrants, sampling stations, flushing and blow-off hydrants. 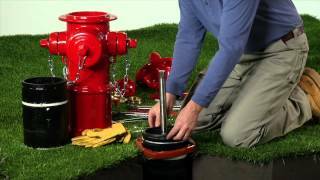 We’re pleased to offer extension kits and traffic repair kits for most any hydrant from Hydrant Repair Parts Inc. Kits are available for American Darling, AVK, Clow, Kennedy, M&H, Mueller, US Pipe, and Waterous hydrants. We also stock AVK kits and parts. All full wall ductile iron gate valves from American AVK meet or exceed AWWA C515 and C509 with C509 wall thickness, and all come with a ten year warranty. Series 45 is available in 2.5″ – 16″ with mechanical joint (MJ), flanged, OS&Y, or tapping configurations available. Call us today to learn more about the quality of AVK gate valves. Series 55 are AVK’s large diameter gate valves, covering 18″ -24″. All exceed AWWA C515 specifications and come standard with a mounting plate for gearing or motorized actuator. MJ or flanged configurations are available. AVK’s 65 Series fully meets AWWA C515 for full ductile iron resilient seat valves that are all lead free and all standard with a holiday-free coating, stainless steel stem and bolts, and an EPDM encapsulated wedge. The 65 Series is available 2.5″ – 12″ with MJ or flanged ends. In emergency situations like a fire, quick action is always important and indicator posts can save precious seconds determining if a valve is open or not or in what direction – seconds a fire suppression system valve could be open and allowing water onto a fire.